Dudley’s boxing scene is celebrating two new national champions after Osama Mohamed and Mia Holland both punched their way to glory. The duo brought home title belts from the weekend’s National Junior Championships in Rotherham. Mohamed, 15, saw off competition in the two-day semi-final and final event to win in the Junior Cadet -54kg category. It was the Lions Boxing Club star’s first national ABA title. 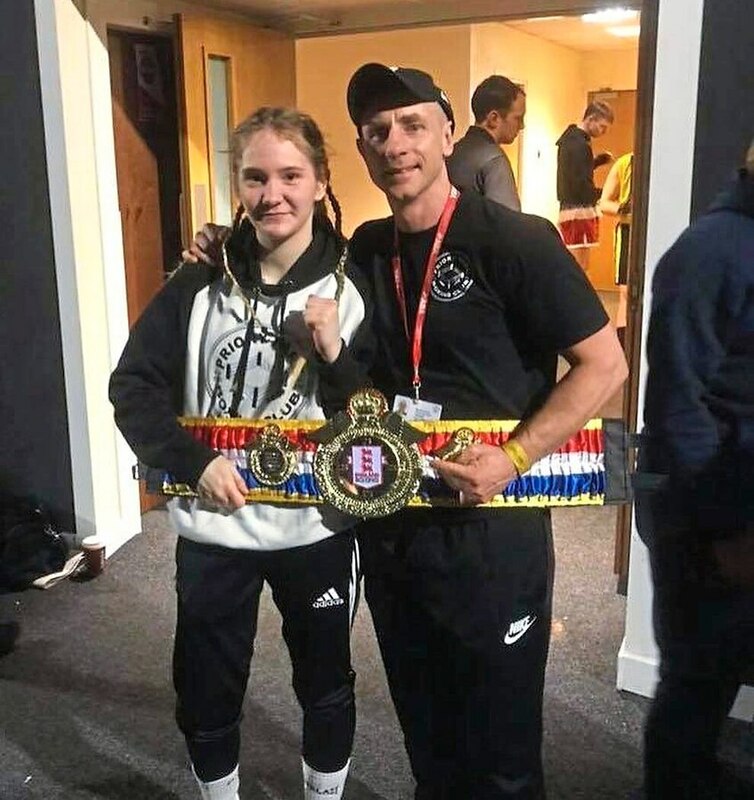 Holland, 15, was successful in the female -54kg ranks, coming through both days to bring the belt back to Priory Park Boxing Club. For former Monkstown Cup winner Mohamed, who has boxed for England, his highly impressive victories were a sign that he is the one to beat in his age and weight categories. 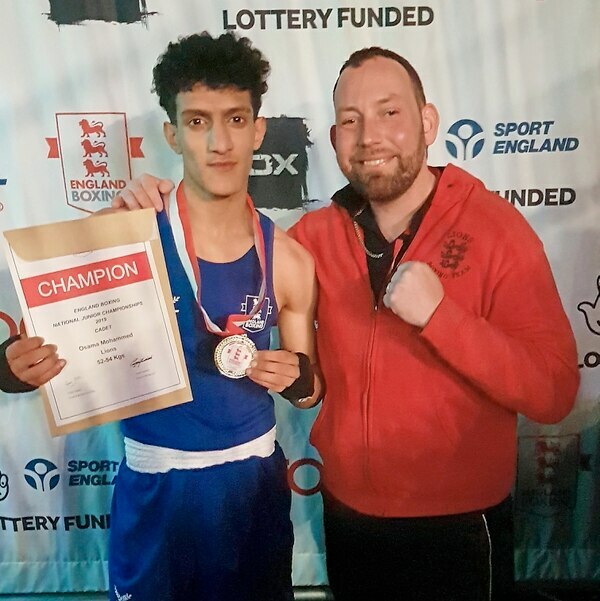 Mohamed, from Halesowen, eased past Shay Johnson, of High Fell BC, in Saturday’s semi-final before Sunday’s prize unanimous decision win over ABA and Three Nations champion Owen Shered (Golden Rings). “He stopped him in the first round, he demolished him with some quick right hands and left hooks, the ref jumped in to save him,” said Lions coach Kev Dillon of Mohamed’s first bout. “That win was against a good lad and it was like Osama sent out a statement – ‘I’m here and I’m going to win’. “I had all the confidence in the world. He’s the best lad in the country. The lad he beat in the final is a rangy southpaw and the lad was trying to hold on for dear life. “The ref gave him a warning to encourage the boxing, so it doesn’t get very scrappy, otherwise it’s hard for refs to judge. Priory star Holland exorcised her demons against Sophie Sansam (Tommy Coyle BC) after two previous final defeats against her opponent. The Bradley boxer, also a Monkstown winner, secured her first belt with a fine display, making it third time lucky. “We were a little bit flat after Ellis Clifton (previous fight) had lost late but we got her relaxed,” said coach Warren Davies. “She got the demons out of her head and did absolutely brilliant. She landed on her way in and out and deserved to win all three rounds for me rather than a split. “She boxed really, really well and it’s a testament to her attitude and dedication after losing other finals. “She showed the determination and will-power, I’m really pleased. Fellow Priory boxer Clifton made it a trio of Dudley stars fighting for a belt but he lost out on a unanimous decision to the experienced Shaun Hubbart in final of the Junior -48kg event. There were semi-final stage exits for Priory team-mates Kelsey Oakly (Junior -48kg) on a split-decision and Teon Graham (Junior Cadet make -80kg) on a unanimous. Another Dudley club, Brooklands BC, were also represented by Kian McDermott, but he lost on a unanimous decision in the Junior Cadet -63kg.